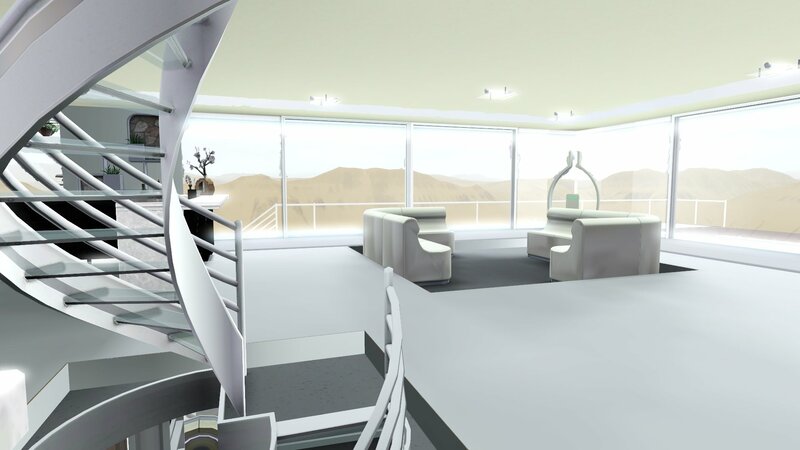 This is Tower 49 from the movie Oblivion. It was created from many screenshots of the movie as well as information from online materials. Areas that could not be determined were then made with a lot of liberty for playability. This is mostly the lower level where in the movie was a bot/droid repair bay. I originally wanted to leave the ground level empty b/c this lot can be placed in any world and the landscaping would probably be made to match the location. 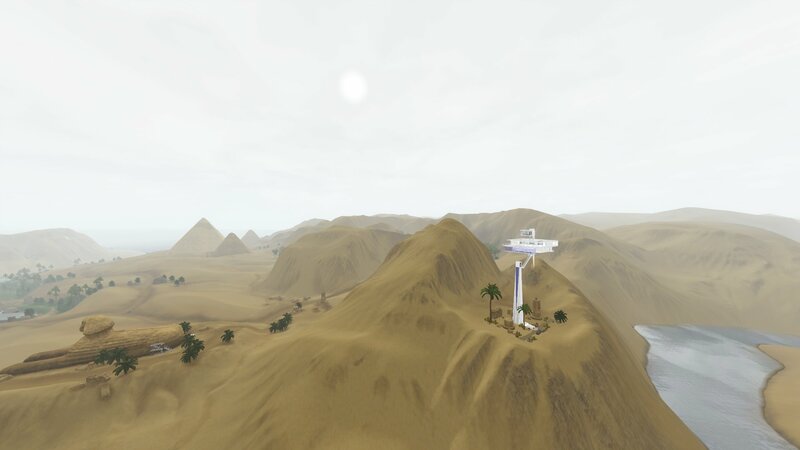 You can place the lot wherever you want, but for it to match the style, it is preferred some lonely place like on an isolated island in IP, on a cliff overlooking the wasteland in Oasis Landing, or high on the mountain in either Egypt or China. 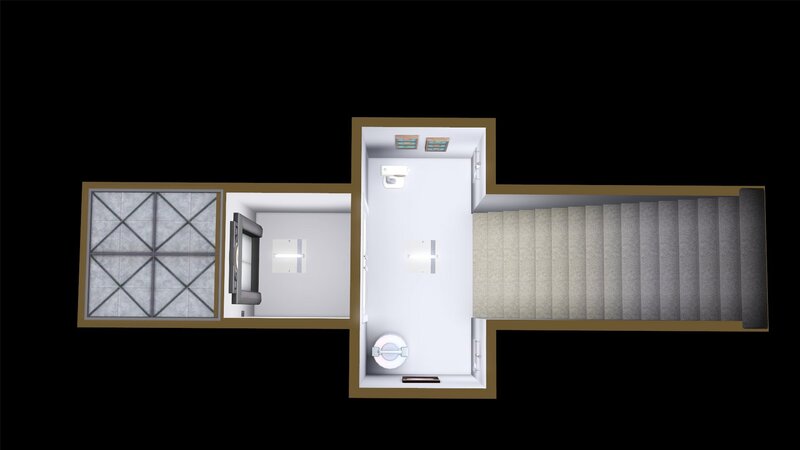 This residential comes with 2 BR and 2 BA. This was by far the most difficult building I've ever made. It incorporated almost every known trick in the book. This uploaded version is actually 3.0 as I've attempted to make this before, with 1.0 almost 2 ysr ago. 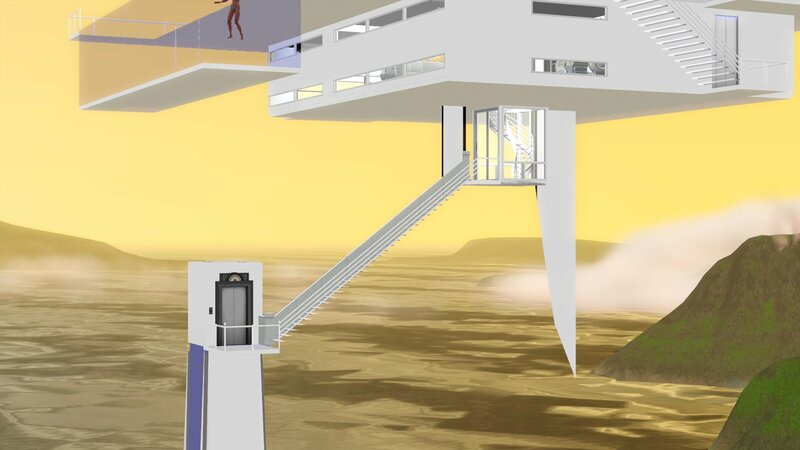 So the tower itself requires the "skyscraper technique." 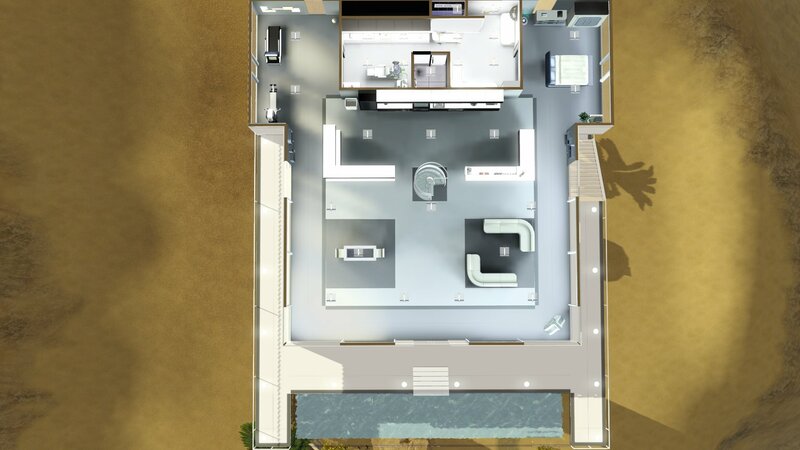 The front landing pad was made using "placefriezes," and then deleted row by row while placing the floor tiles. The pool was then created beneath it. Though it may not look it, but this building needs more than 5 floors, so requires the mansard roof technique to expand the floors. Now for some reason, I could not get 8 floors, the game crashes. 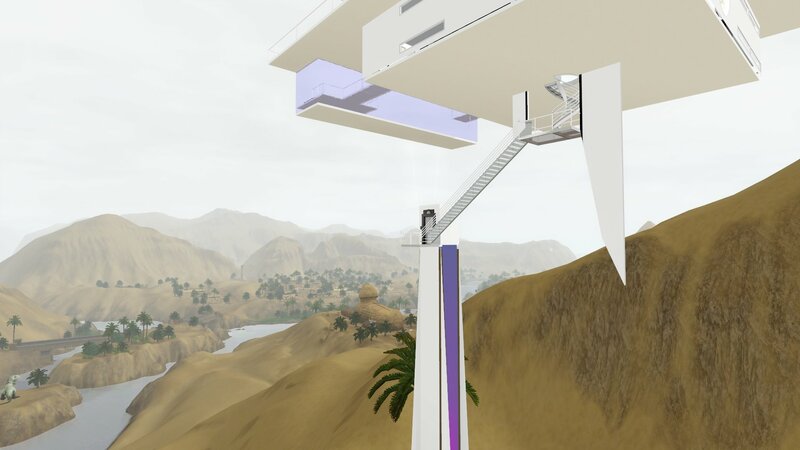 So to make the long bottom stair that was originally taking 2 floors, I had to change the technique to do the whole stair in 1 floor by using uneven building heights, something I learned just for this building. * Original Desert - This is the original version and one matching the lot price below. In the original movie, the spiral staircase goes through the main building and appears to be outdoors. I suppose in the movie they have some sort of top hatch etc... 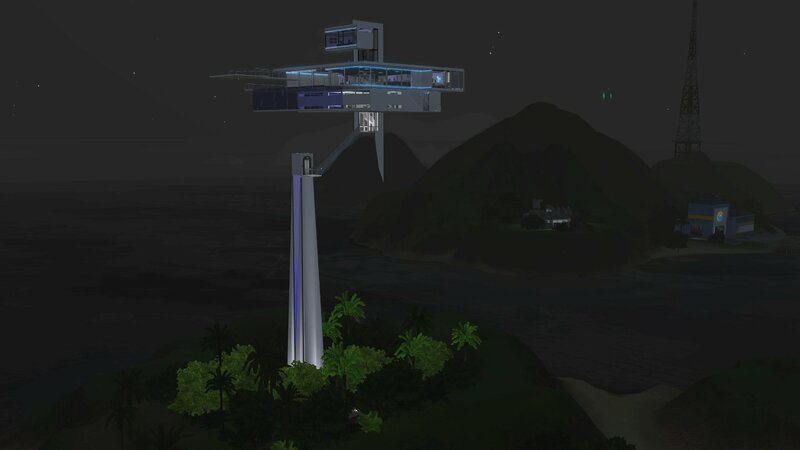 However in Sims 3, this means the whole building is not weatherproof since the spiral staircase is open. 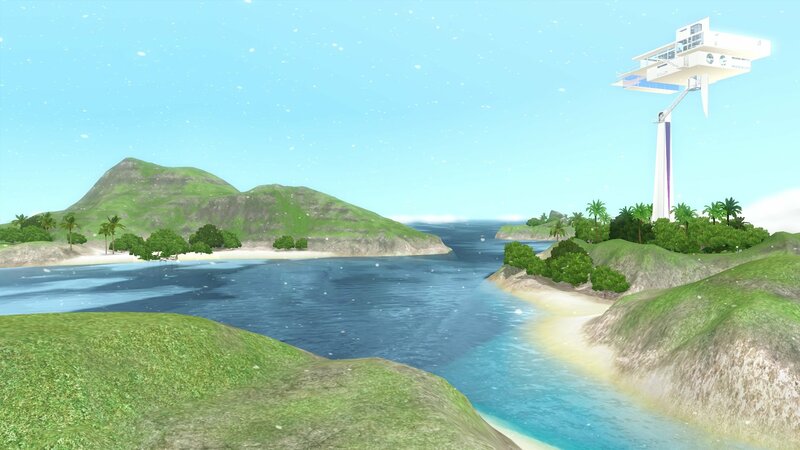 I have no idea how this will affect the sims, if at all with Seasons. 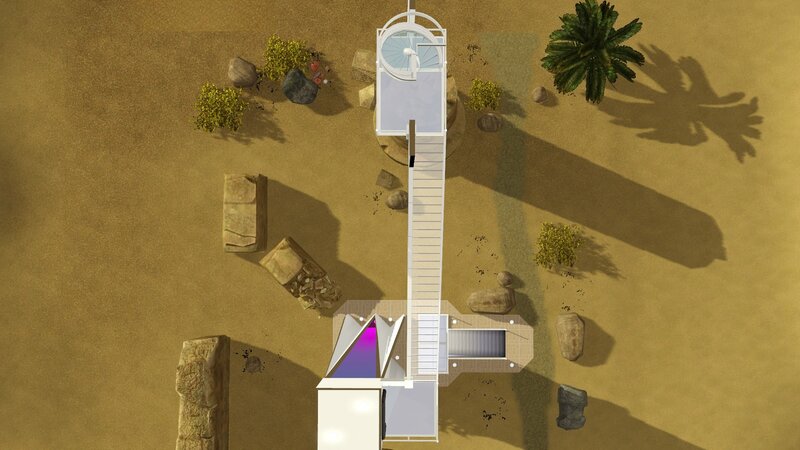 The landscaping for this lot is desert, but feel absolutely free to do whatever you want with it. * WP Jungle - This is a weatherproof version and the major difference is that the spiral staircase is completely weatherproofed behind glass. 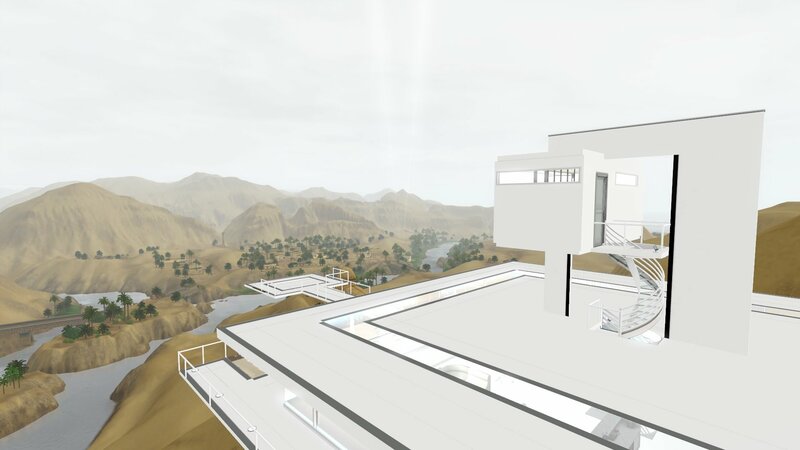 In this version all levels of the main building will be completely indoor, so no issue with weather. Of course, this then doesn't look as close to the movie version. The landscaping for this lot is a jungle/shipwreck. I made this one for IP but it is also easy to clear up if you want to use this lot for other terrains. First floor of the main structure. In the movie this is a droid repair bay, so I placed a plumbot making machine there. 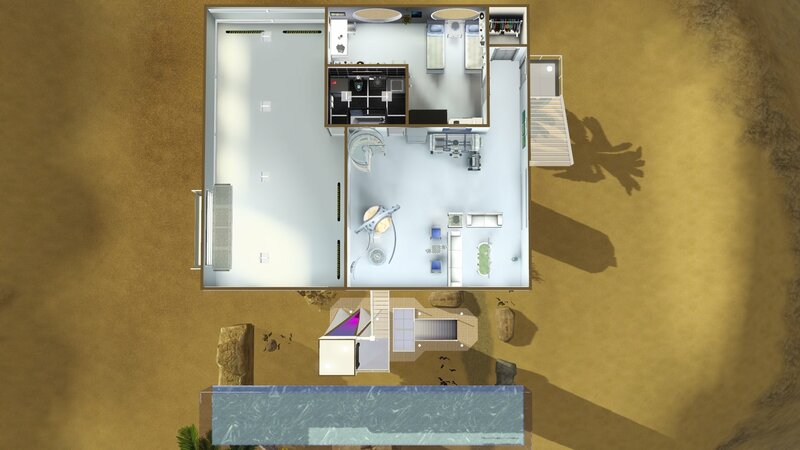 But there were a lot of room left, so I added things to make this lot more playable - living room, 2nd bathroom with laundry, a 2nd bedroom, and a garage. This is the floor mostly seen in the movie. 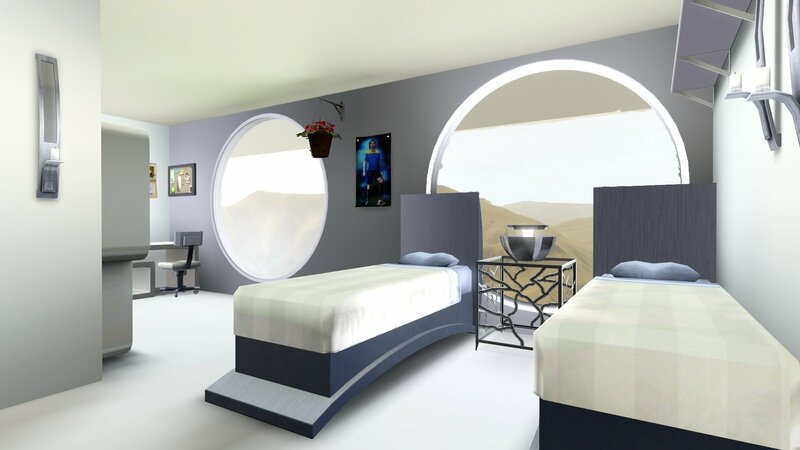 It is an iconic futuristic room with kitchen, bedroom, bathroom, gym, and a living room. The bedroom here is considered studio. Also iconic to this structure is the all glass pool. 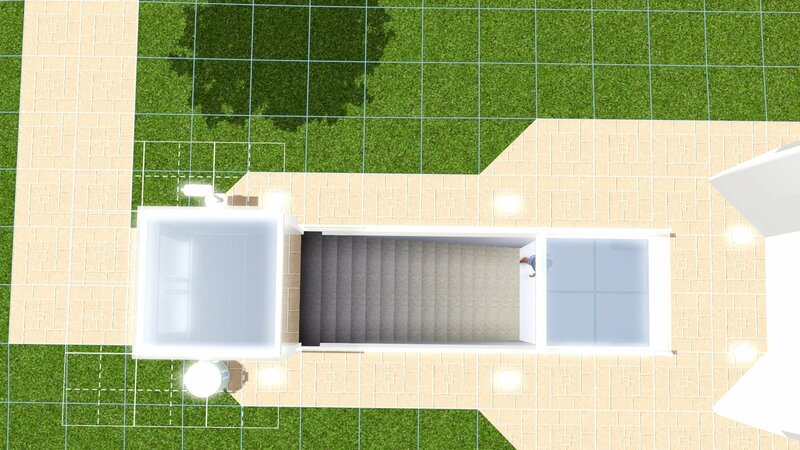 Unfortunately, the limitation of Sims 3 prevents the pool floor from being glass. But it is still beautiful and scary to swim so high above in the skies. 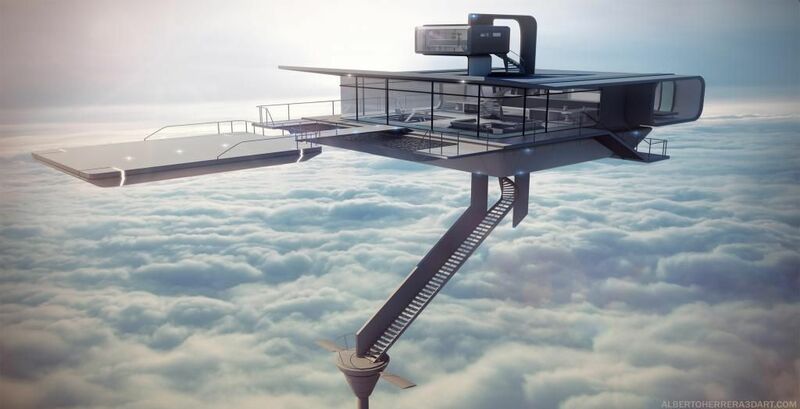 In the movie this served as the control tower for the futuristic helicopter, which rests on the landing pad. 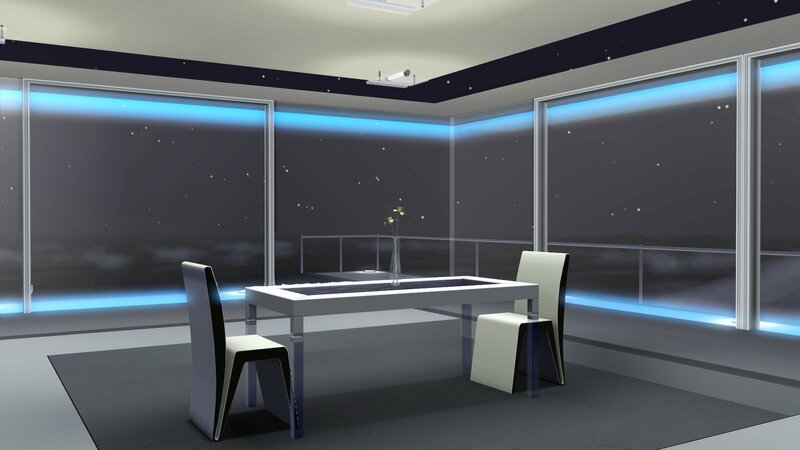 The landing pad in this recreation is a parking spot for any of your future hover car. 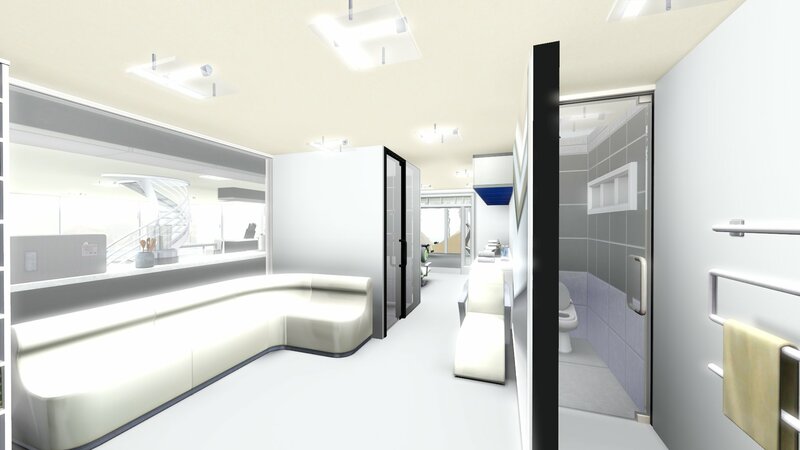 This top room is a computer office. 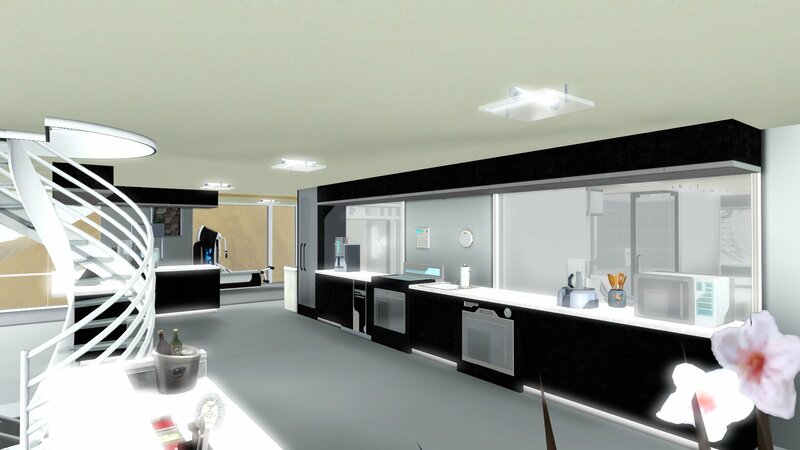 Well there are still differences, due to the limitation of Sims 3 engine as well as lack of information on certain areas of the building. All the EPs checked are the ones I have. I used a lot of ITF, Latenight stuff. Only a handful of CCs, they're not required of course but recommended. 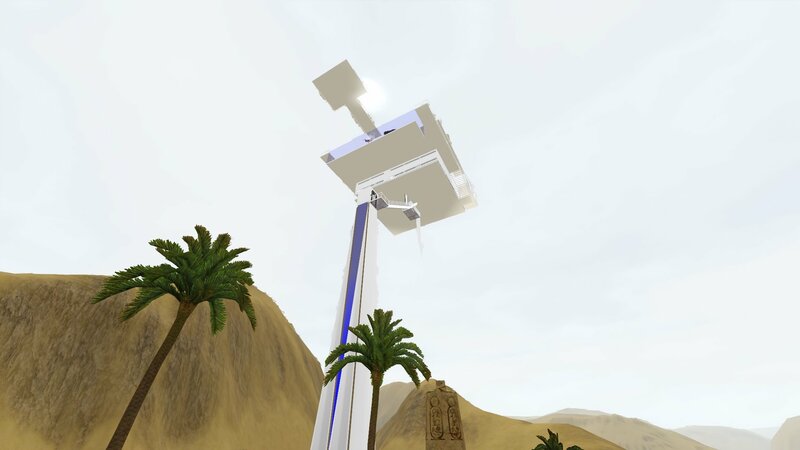 * "Glass Floor" - By xXiNightXx, Download at TSR (Link). This is used for the main building top floor's roof/ceiling. You can see in the screenshots it goes around the top roof. 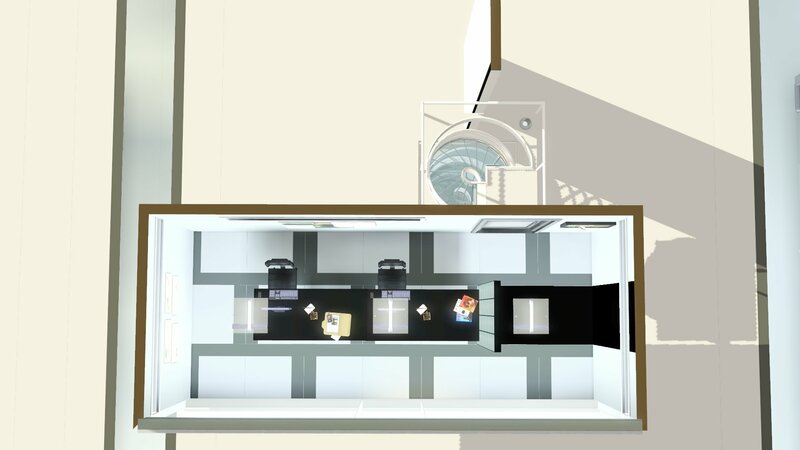 * "Glass wall door no handle b" and "A thicker glass wall version 2 " - By hazuitokage, Download at MTS (Link). 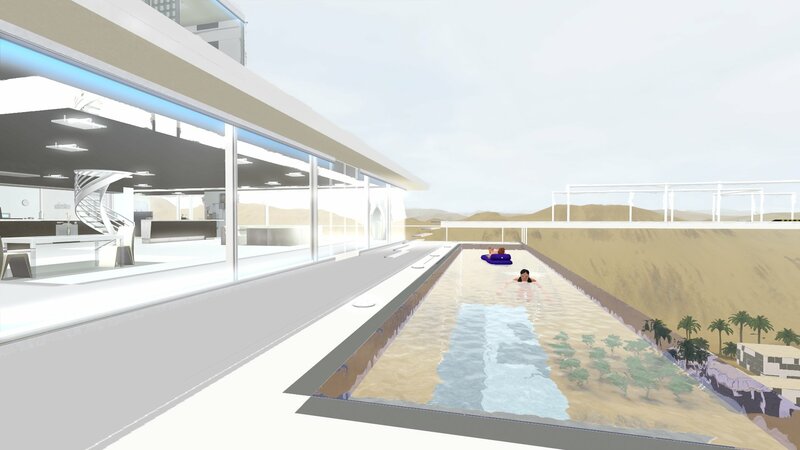 The glass wall is mostly used for the swimming pool. The glass door is used for the 2nd floor main building. 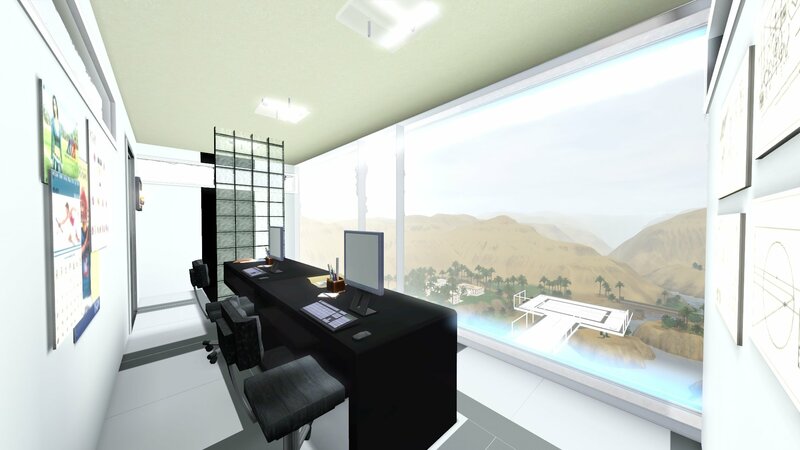 * "All glass window" - By Playful, Download at TSR (Link). Some of the windows on the 2nd floor main building uses this seamless window. 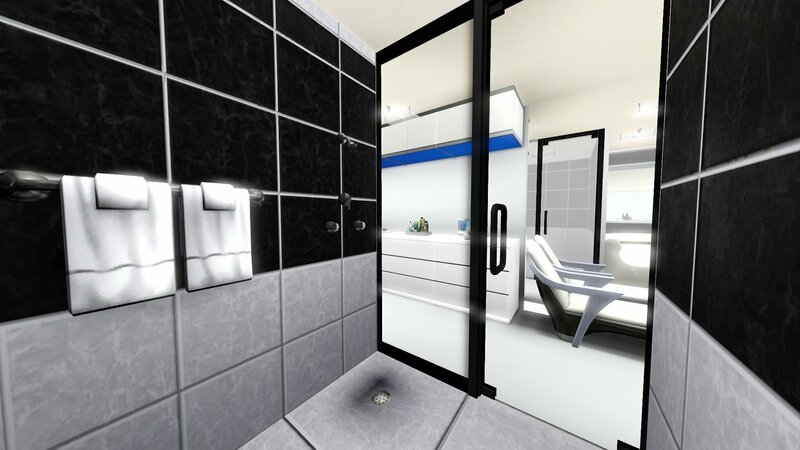 * "Backless shower" - By Hugelunatic, Download at MTS (Link). Shower used in the main shower. 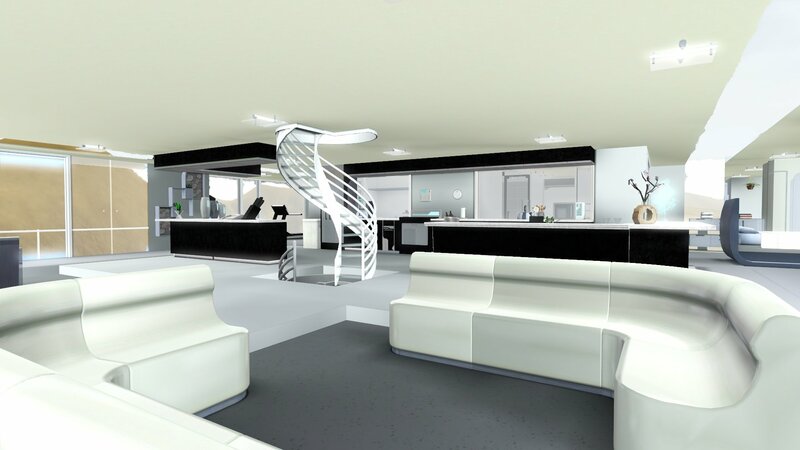 * "Doorsliding Single without glass" - by Lisen, Download at MTS (Link). The door is used for the top observation room. 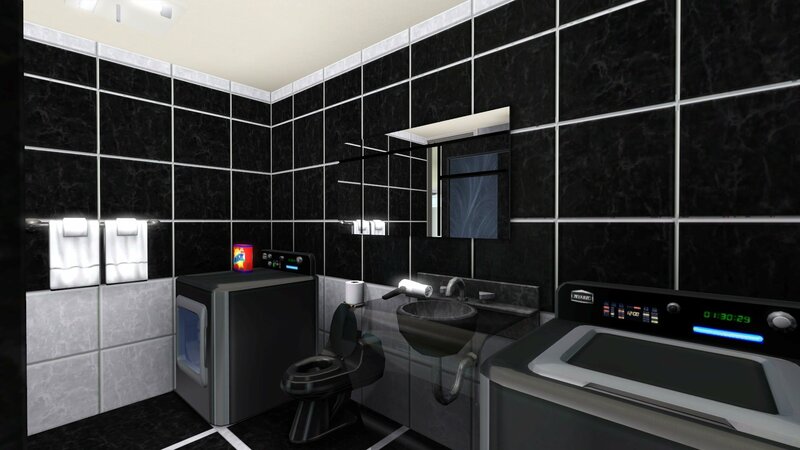 * "glass tile 4x12" - By Lisa 86, Download at TSR (Link). This is used in the top observation deck as a fake wall. 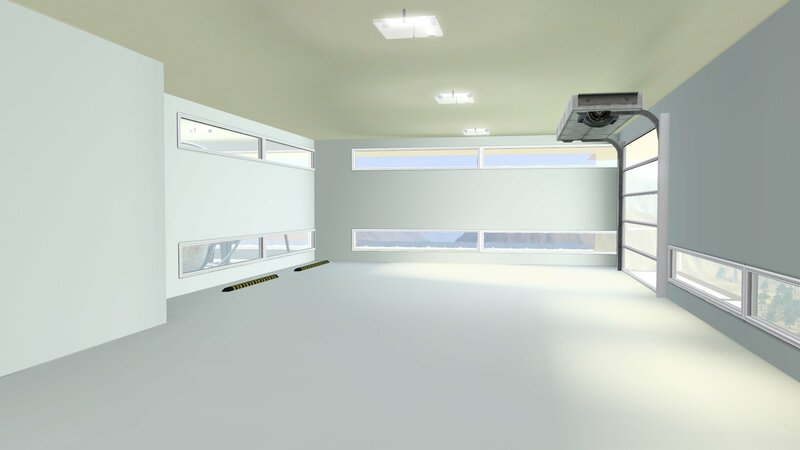 This level is a mansard roof level, so it was difficult to create a wall inside the room. * (Updated!) 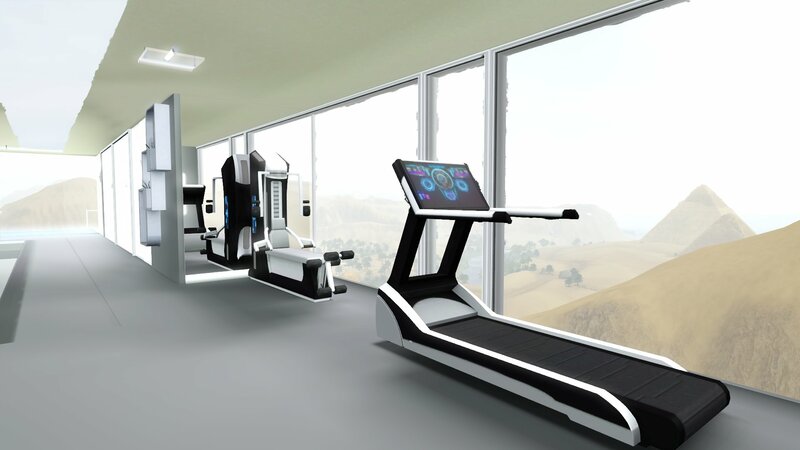 "Verbena Vase" - By Simcredible!, Download at TSR (Link) It is the vase next to the treadmill. I thought I replaced it with the Simply Dogwood b/c they are similar. Looks like I missed one. 1) Displaced Garbage Can and Mailbox: When you place either lots, the garbage can and mailbox will be randomly placed on the ground floor. This is because I originally placed them in the basement level. Just use "moveobject on" and move them wherever you want. 2) Landing Pad: The landing pad parking lot is actually larger than the pad itself. 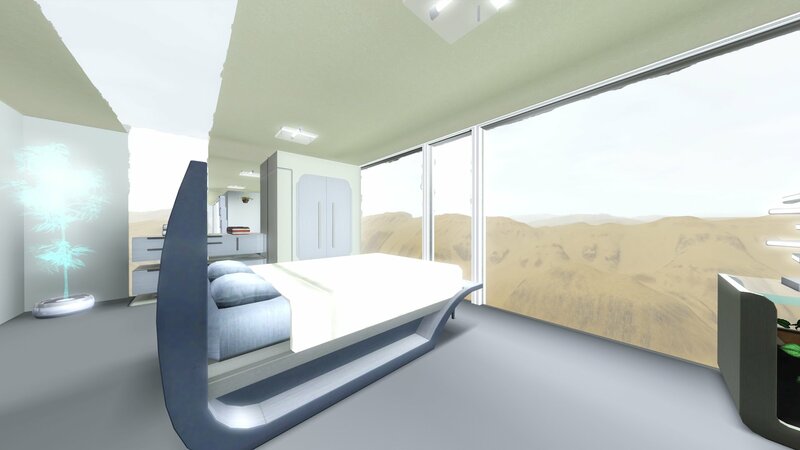 Visually, it should look alright with most of the hover cars in IFT. 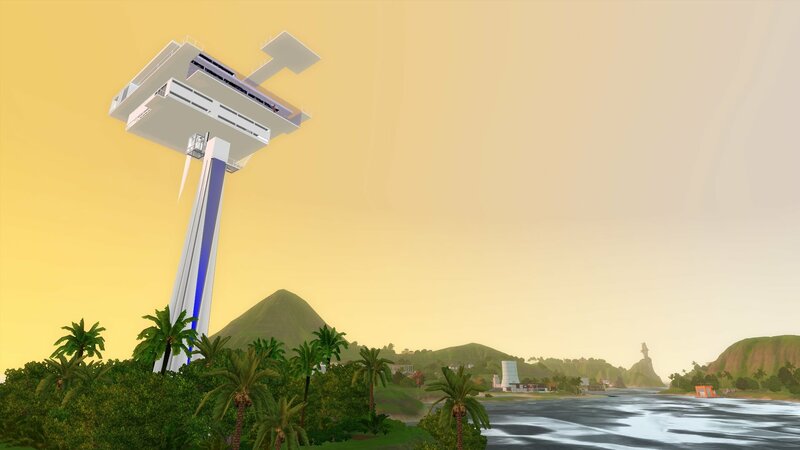 However, the sims will not initially park their cars there b/c of this. 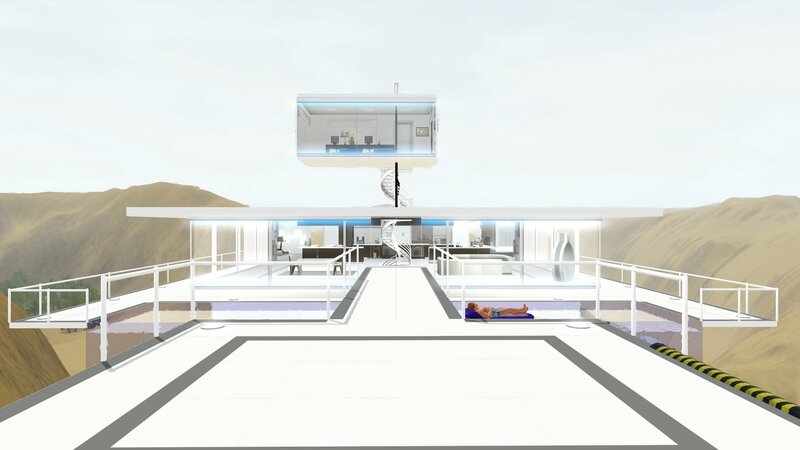 So you will have to place a hover car there manually with "moveobjects on." 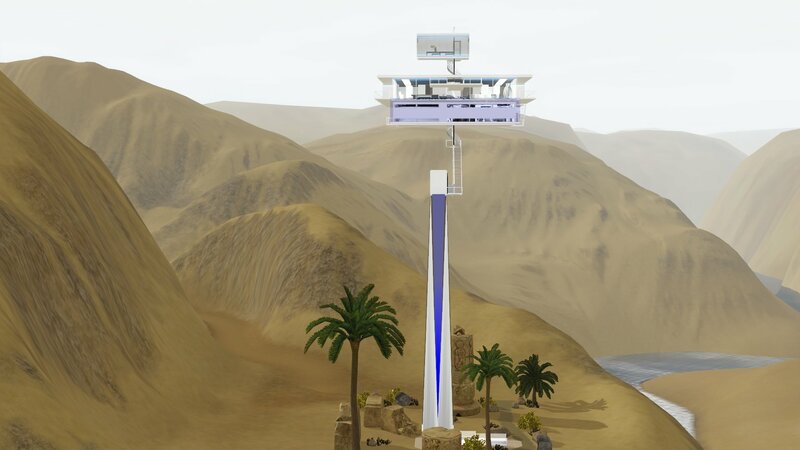 From this point, when the sim travels and uses the that car, it will be replaced back on the platform when they return. 3) Black Ceiling: If you're taking interior screenshots, the main floor may have black ceilings if you have the levels all the way up. For general play, this is not an issue. This is a shader glitch issue probably resulting from using the mansard roof technique to get more than 5 floors. The only way to resolve this is to not level above this level when taking screenshots of this level. However, that also means the landing pad will not be visible outside the window in your screenshots b/c they belong to the next level. So it is a trade off if you want to see the landing pad outside in the screenshot, you'll have to settle for black ceilings. So far there is no known permanent fix to this. I will post one when one is available. 4) Lag: There is an issue with the "desert original." B/c the basement door cannot be set as the "front door" it will cause NPC sims to get routing errors. Most players won't notice this b/c you are playing an active family on this lot. But if you are playing a family on a different lot and an NPC family occupies this lot, it will cause major freeze lag. This is not an issue with the "weather proof" edition b/c that version has doors above the basement. So, only occurs when this lot is not an active lot and NPC sims live there. 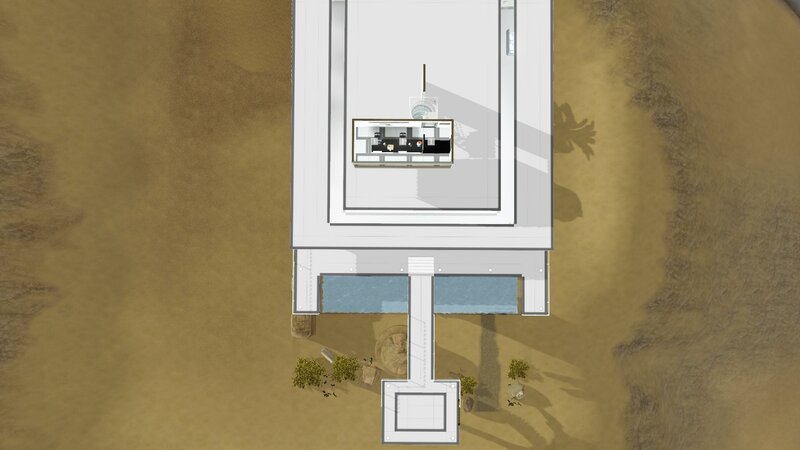 Only affects "desert original"
1) Create an entry way above ground right at the top of the stair and enclosed around the whole stair, replacing the fence. Do NOT add a ceiling to this room. 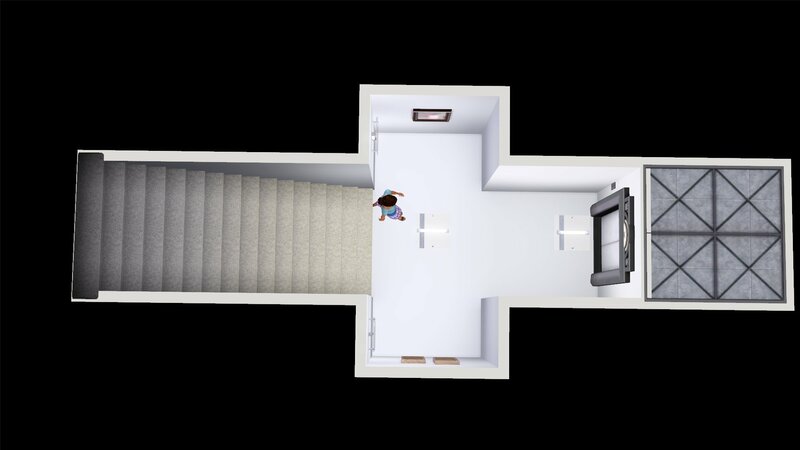 2) Move the basement door to this wall, remove the "public" marker in the basement, and delete the wall separating the elevator. Now you can shift click on the door and "set as front door." 3) Move both the garbage can and the mailbox outside on the 1st floor. 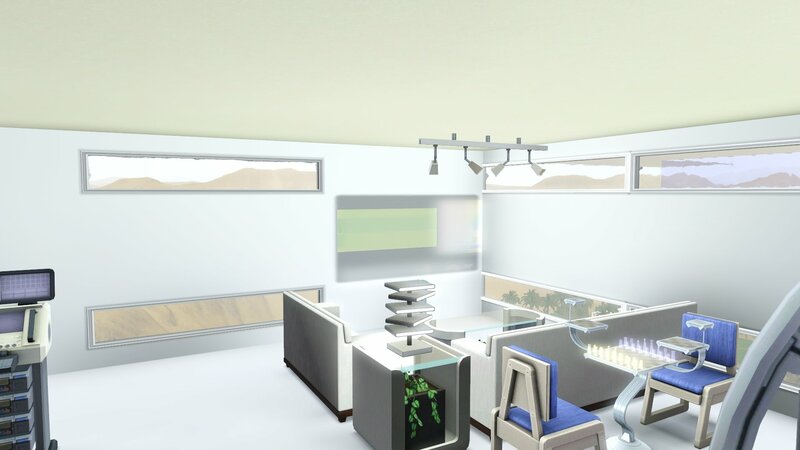 4) At this point you are done, but if you like, you can delete the walls around the stair and replace the original fence, then place one of the ceiling windows above the entry way. 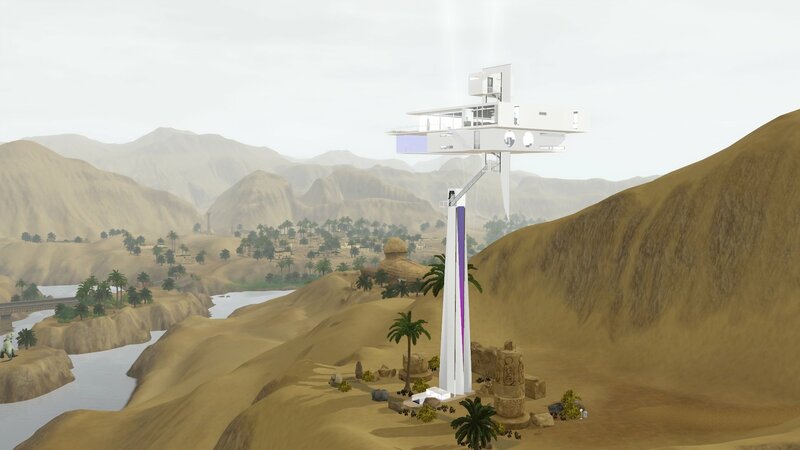 Just remember, do not place a ceiling or sims might get stuck on there. Wonderful members at MTS that somehow convinced me to rebuild this lot. Totally worth it just for that staircase. 44 people have said thanks to nitromon for this download. 3. The files included are "library" package files. Simply place them in your library folder.